George “Hoyt” Young, 84, of Whitwell, passed away Tuesday, January 15, 2019. Hoyt contracted for Marion County Board of Education for 44 years and contracted for Marion County Board of Education for several years. 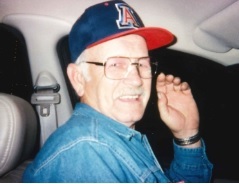 Those left to cherish his memories are his wife of 21 years, Wilma L. Young; children, George (Glenda) Young, both of Whitwell, Sue (Jim) Atterton, of Powells Crossraods, Debra (James) Fetherolf, of Cartersville, Stephen Young, of Whitwell, Hannah Young, of Cookeville, Yonna (Norman) Hatfield, of Dunlap, Darel (Crystal) Turner and Jason (Leah) Turner, both of Whitwell; sister, Joyce Cox; brothers, Harold Young, Ray Howard Young and Johnny Young; grandchildren, Brian Young, Chris Young, Adam McCoy, Nicole Weldon, Amber Weldon, Alex Turner, Camden Turner, Jamison Turner, Blane Turner, Brody Turner, Jaron Turner, Bryson Turner, Zoey Harmon, Louna Derusha, Kayden Vineyard, Brylie Goins and Jackson Young & Jaylen Young; and great-grandchildren, Tyler, Makala, Shaylee, Cameron, Hannah & Kara. Family will receive friends from 11 a.m.-3 p.m. CDT on Saturday, Jan. 19. Funeral service will be at 3 p.m. CDT on Saturday, Jan. 19 in the funeral home chapel.